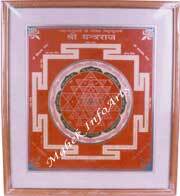 Dhanvantri Yantra	for Good Health and fortune. 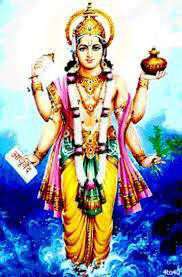 Lord Dhanvantri is the divine physician who brought with him the knowledge of health, long life and the medical arts in the process churning of ocean for the amrita (nectar of immortality). He was one of the 14 Ratnas (Gems) emerged from the ocean. 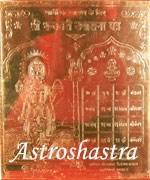 Lord Dhanvantri was the Vaidya Ratna. 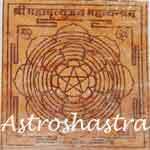 Placing Dhanvantri yantra is very benefical for good health, it deystroys the negative ions in the surrounding and brings the positivity and brings good health to the worshipper. It is recommended, to have it in every home to keep residents healthy and disease free. It is observed that sometimes, even after taking regular medicines one do not get recovered and the illness persist for long. Energised yantra of Lord Dhanvantri, if placed in home keeps family members are protected, remains healthy, immunity is incresed and medicines give recovery early. 1. It bestows the blessing of Lord Dhanvantri upon the members of house. 2. Keep you healthy and protect you from ailments. 3. Helps to boost your immunity and energy by correction of your Aura energies.
" Om Namo Bhagavathe Vasudevaya Dhanvataraye Amritha Kalasa Hasthaya Sarva Maya Vinasanaya Trilokya Nathaya Sri Maha Vishnave Namah"